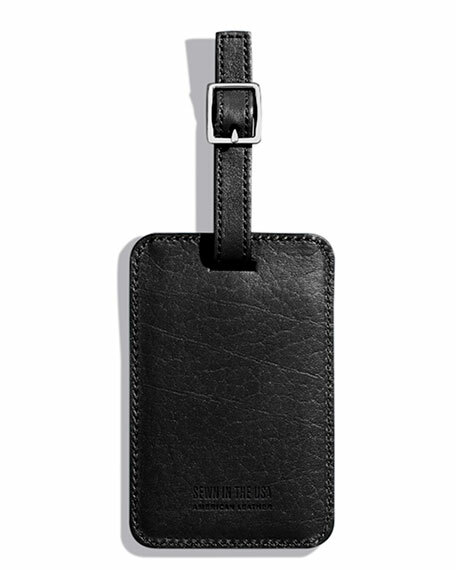 Shinola luggage ID tag in American-processed leather with hand-painted edges. 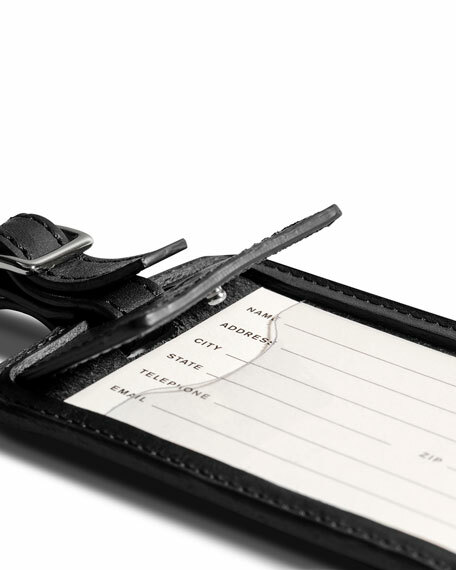 Logo-embossed flap with snap closure. Strap with stainless steel buckle. Ermenegildo Zegna briefcase in signature Pelle Tessuta™ woven calf leather. Galvanized hardware. Flat top handle. Flap top with push-lock closure. Ermenegildo Zegna briefcase in signature Pelle Tessuta™ woven calf leather. Galvanized hardware. Flat top handle. Flap top with push-lock closure. Interior, double-gusset compartments. 10.5"H x 15.7"W x 2.4"D. Made in Italy. Men's Society "The Ski Survival" kit in aluminum tin. Contains: High-quality steel hip flask. Woven sunglasses cord. Sun lip oil. Men's Society "The Ski Survival" kit in aluminum tin. Contains: High-quality steel hip flask. Woven sunglasses cord. Sun lip oil. After sun cream. 5.6"W x 3.9"H x 1.4"D (142 x 100 x 35mm). Made in United Kingdom.